This is an amazing morning cleanser, due to its fresh ingredients and mild exfoliant. I have sang the praises of this cleanser before (here) but it is still a permanent step in my morning skin care routine. Lavender and Rose work together to balance complexion and reduce redness, kaolin deep cleanses the skin and ground almonds act as a mild exfoliant. 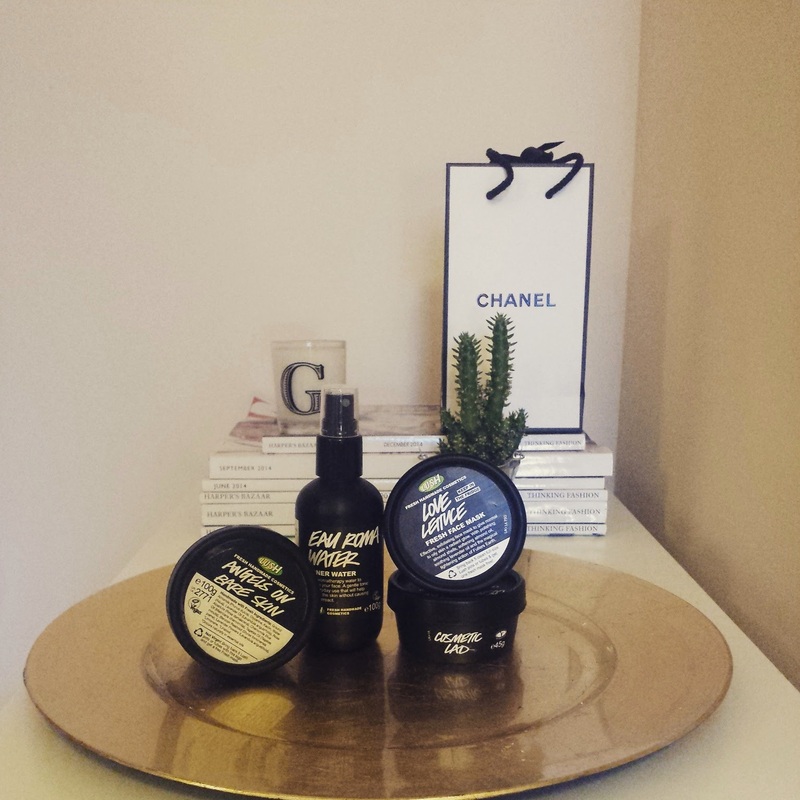 Angels on Bare Skin has transformed my skin type from being oily and blemish prone to normal and silky smooth. This is a new addition to my skin care routine but it is working wonders when paired with Angels on Bare Skin, it is a lavender and rose water based toner water that smells incredible but also refreshes and soothes the skin after cleansing. Another new product that was recommended to me by a friend, is the Cosmetic Lad Moisturiser. This is a lovely hydrating cream that mattifyes the skin, in preparation for adding primer or foundation. My current Face Mask of choice recently has been the Love Lettuce Fresh Face Mask. 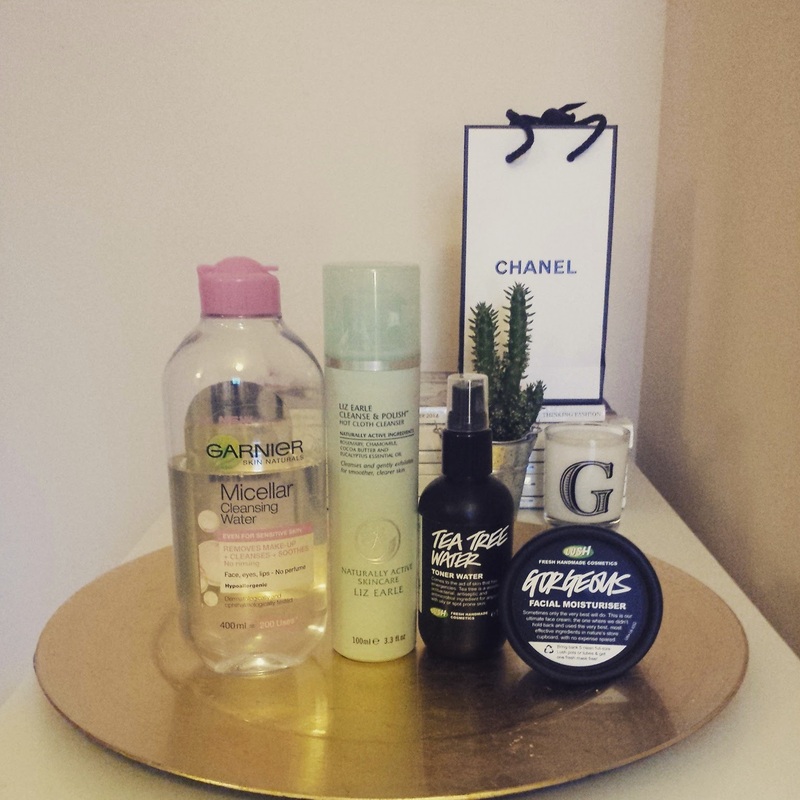 There is clearly a theme running through my morning skincare routine. Love Lettuce does not list lettuce as one of its ingredients but it does contain lavender. Kaolin, honey, fillers earth and ground almond shells work with the lavender to help absorb excess oil and deep cleanse and finely polish the skin. This a beautifully scented and refreshing mask that I enjoy using every time. I am a big fan of this great value Miceller water and it is perfect for removing eye makeup before a cleanse. It is super gentle and effective and I can't rave about it enough. My preferred evening cleanser is the Liz Earle Cleanse and Polish. This breaks down makeup like nothing else and leaves your skin deeply cleansed and refreshed. Again this is another lavender and rose based product, but my skin just loves lavender. It is super satisfying seeing all your makeup come off onto a muslin cloth when using this cleanser. I have repurched this toner again and again because of its antibacterial and antimicrobial properties. It is great for refreshing skin after cleansing and removing any bacteria that may still be lurking. Gorgeous is a beautiful rich moisturiser, perfect for use as a night cream/evening moisturiser. Lush have used the best of the best ingredients in this beautiful moisturiser and it the neroli in there helps it smell devine. This is definetly one of my favourite Lush products. Since using this routine, my skin is at its best, looking fresh, healthy, with a normal complection. What skin savours would you reccomend? After seeing and smelling how amazing the Lush Christmas collection was, I was excited to see their special valentines day offerings, and I was not dissapointed. There is plenty of love hearts and glitter and sensual jasmine amongst the Lush Valentines Day 2015 launch, which is available from Friday the 9th of January. The collection includes, bath bombs, bubble bars, a shower gel, a beautiful soap, and some kissable lip products. A huge Jasmine, Vanilla and Neroli scented Bath Bomb that is big enough for two baths, or use the whole thing for a luxurious treat. Love locket contains a smaller bath bomb within, filled with Agar hearts for an extra romantic touch. This beautiful floral bath bomb creates a colourful spectacle when placed slowly into the bath. It shares the same fragrance as the Flying Fox shower gel, a favourite of those Jasmine lovers. My favourite product from the Valentines collection is the Unicorn Horn, with its rainbow colours and silver lustre. This bubble bar contains Lavender Oil, Ylang Ylang Oil and Neroli Oil, which makes a relaxing, comforting and uplifting bubble bath. This little sparkly love heart packs a beautiful fragrant punch with its Bergamot Oil, Rose Absolute and Jasmine. As well as creating lovely fluffy bubbles, Lonely Heart contains Corn Flour as an ingredient, which helps to keep your skin lovely and soft. I adore the look and smell of this Bubbleroon! 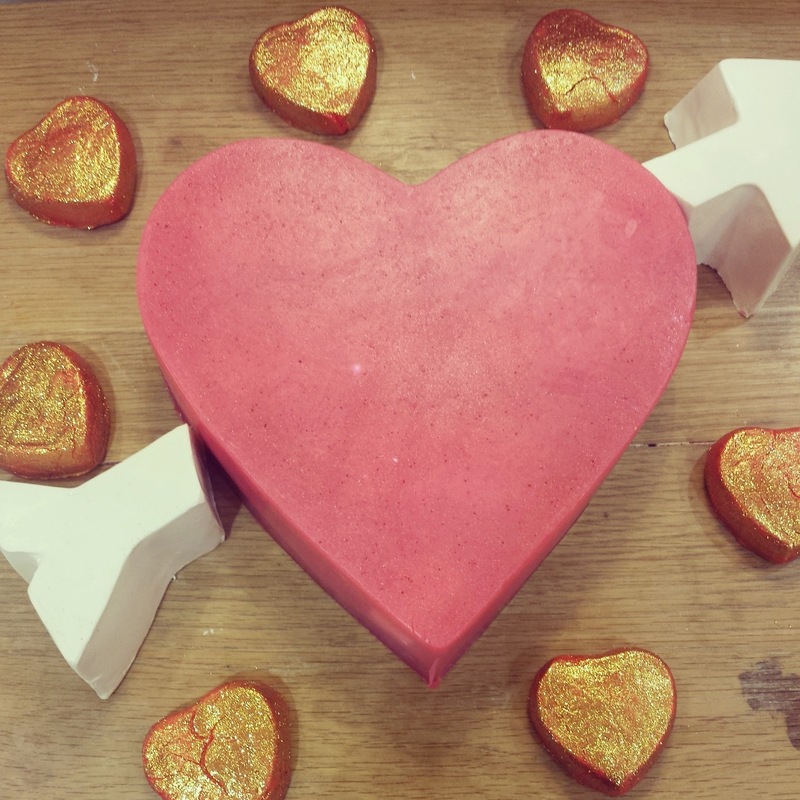 Two red love hearts glued together with golden, glittery Cocoa butter. Bubbleroons contain many beautiful essential oils and skin softening ingredients and Heart Throb shares the same subtle scent as the African Paradise Body Conditioner. Organic Shea Butter, Fair Trade Vanilla and Frangipani Absolute, come together to create this beautiful fragrance. This is a lovely, fruity scented, heart shaped soap made with nourishing Coconut Oil and Soya Yoghurt to soften the skin. Fresh figs and passion fruit juice create a unique fruity fragrance, along with a Rosewood Oil, Cinnamon Leaf Oil and Bergamot Oil. Prince Charming is our Valentines Day Shower Gel, with a unique tart, yet sweet scent. Fresh Organic Pomegranate Juice and Grapefruit blended with Marshmallow Root, Fair Trade Vanilla and Almond Oil, create this special must-have shower gel. 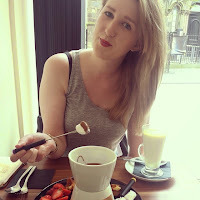 I am a huge fan of the Lush lip scrubs, with their Caster Sugar and Jojoba Oil base, they help to create perfectly buffed lips for adding a bold lipstick. The Kiss Lip Scrub is a lovely candy pink with a sherberty, sweet scent and taste, it reminds me a lot of Love Heart Sweets. When you open your little jar, it has edible red hearts and sugar sprinkles. There are also some amazing gifts that have been created and put together for Valentines day that I would love to receive. Lush always get it right when it comes to putting products together to create the perfect gift that will suit many different tastes. What product are you looking forward to most from the newest Lush Launch?